We’re proud to add three silver awards from the Chartered Institute of Public Relations to our awards cabinet this morning, after a successful night celebrating the best of the North West’s PR industry at the CIPR PRide Awards 2018. 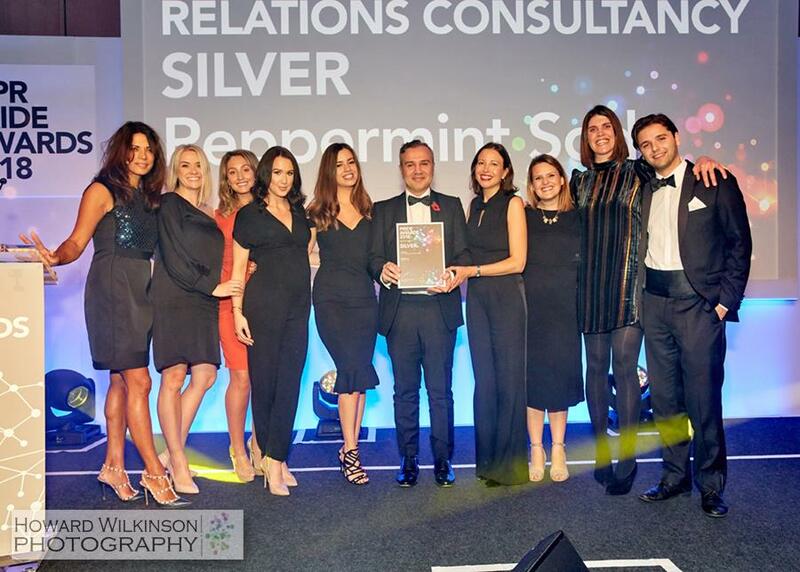 Peppermint held on to the silver award for Outstanding Public Relations Consultancy for the second year running and we also bagged awards for Best Integrated Marketing Campaign and Low Budget Campaign. Our work with Health Shield, a leading Health Cash Plan provider, saw us take home silver in the integrated marketing category. This followed a campaign in spring 2018 to launch Thrive – a new mental health app that enables Health Shield’s customers to offer their staff a practical way to monitor and support their mental wellbeing. And our work for paper manufacturing giant James Cropper saw us walk away with the low budget campaign gong. This campaign was centred around coffee cup recycling, after James Cropper introduced a plant capable of recycling the controversial disposable cups, and saw us secure numerous pieces of broadcast coverage for the client – including BBC and Sky News – as well as online and print media pieces.